An angle at tonight's Ring of Honor television tapings in Lakeland, Florida set up Nick Aldis defending his NWA title against Marty Scurll at the Crockett Cup. 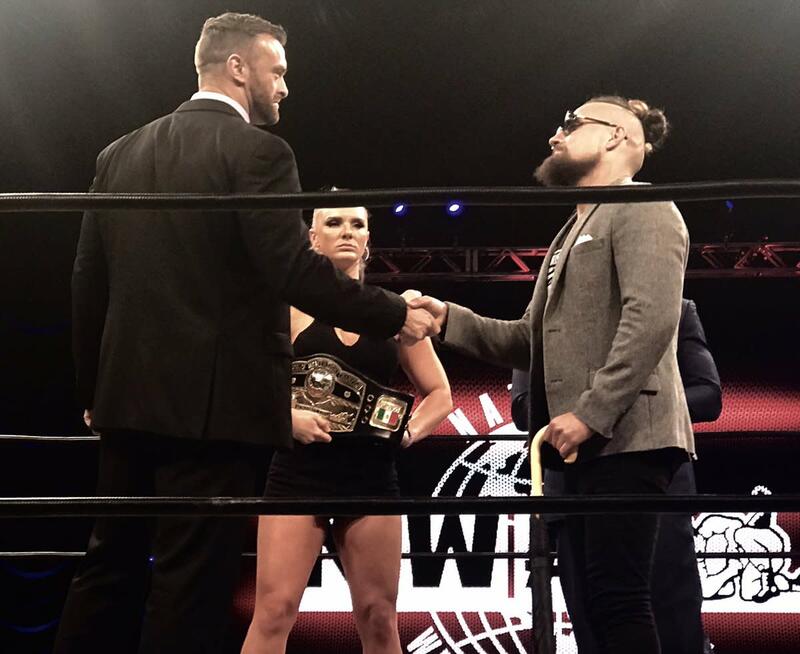 Given their friendship and history together, Aldis wanted Scurll to be his partner in the tag team tournament. Scurll instead challenged Aldis to the title match. Aldis accepted the challenge. The Crockett Cup is taking place at Cabarrus Arena in Concord, North Carolina on Saturday, April 27. The NWA is partnering with ROH for the tournament, and it's also been announced that New Japan Pro Wrestling and CMLL are sending teams to take part in it. Crimson & Jax Dane and Villain Enterprises (PCO & Brody King) are the first two teams to be confirmed for the Crockett Cup. Ian Riccaboni, Jim Cornette, and Joe Galli will be the commentary team, and The Rock 'n' Roll Express (Ricky Morton & Robert Gibson), The Midnight Express (Bobby Eaton, Dennis Condrey, Stan Lane & Cornette), Nikita Koloff, and Magnum TA will be making appearances in Concord.